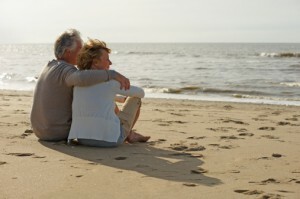 When you get to the age where retirement is on the horizon, it is also time to think about where you plan to retire. For many, the possibility of getting away from it all and settling down in a tropical destination is just a dream, but it can become a reality thanks to the affordable real estate and cost of living in places like Belize. Uncover the perks of retiring on Ambergris Caye, Belize. A major concern for those nearing or at retirement age is healthcare. Many retirees are worried that moving to a tropical destination means sacrificing a high-quality healthcare system, but that couldn't be further from the truth. On Ambergris Caye alone, there are 24-hour clinics and pharmacies as well as on-call doctors specializing in a number of different fields. Larger hospitals and world-class physicians are found an hour away in Belize City. Part of thriving as a retiree is maintaining social networks with those around you. In communities like the Grand Baymen, there is a huge emphasis on community living. Facilities and amenities like pools and restaurants bring together the residents, and it is not unusual for retirees to spend their holidays together or meet up with new friends for activities on any day of the week. One of the main reasons that individuals consider retiring on Ambergris Caye, Belize, is for the chance to spend time outdoors. Thanks to the tropical climate, you can enjoy the stunning scenery throughout the year. Residents have plenty of time and great conditions to enjoy things like golf, tennis, hiking and swimming. Amenities like the San Pedro Fitness Club offer an array of fitness tools to keep you fit and healthy at any age. No matter how excited you are to pack up and retire in a brand new destination, it can also be unsettling and a little scary to leave loved ones and friends behind. Thankfully, Belize is surprisingly close to many cities in the United States. Trips to Florida take under two hours, and it is easy to get direct flights home on short notice. Ambergris Caye is an obvious choice for those who want a scenic, affordable and welcoming destination for their retirement. Click here to learn more about retiring in the beautiful country of Belize.